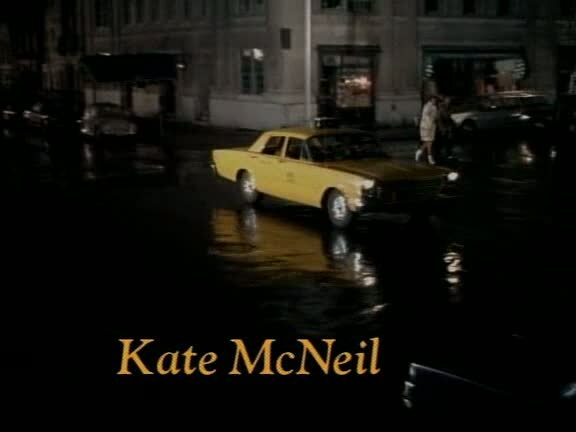 In 1995, Kate McNeil co-starred in the second of a trilogy of 1990s Waltons reunion TV movies. 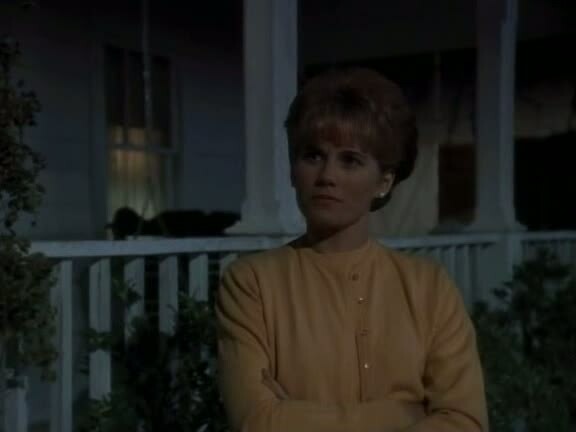 She also appeared in the previous A Walton Thanksgiving movie and would also star in the third a final Waltons TV movie, A Walton Easter. 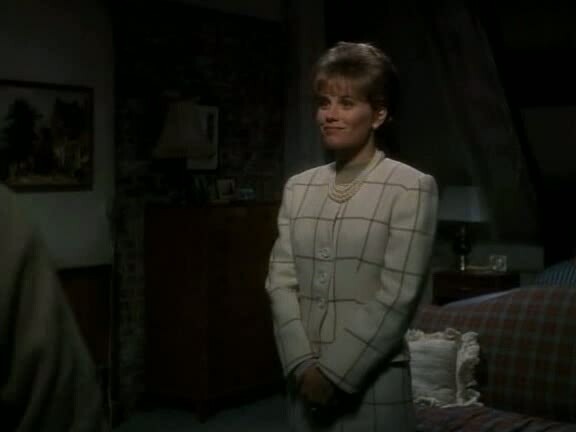 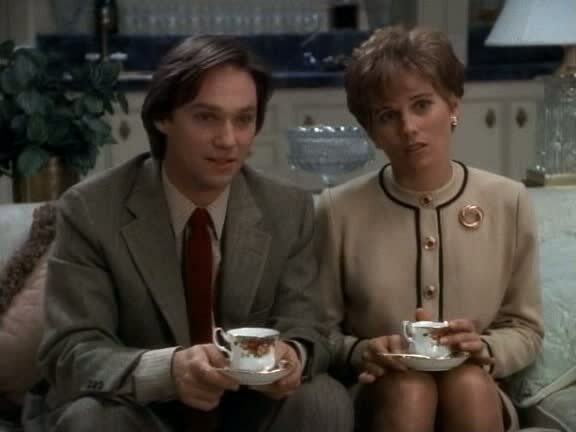 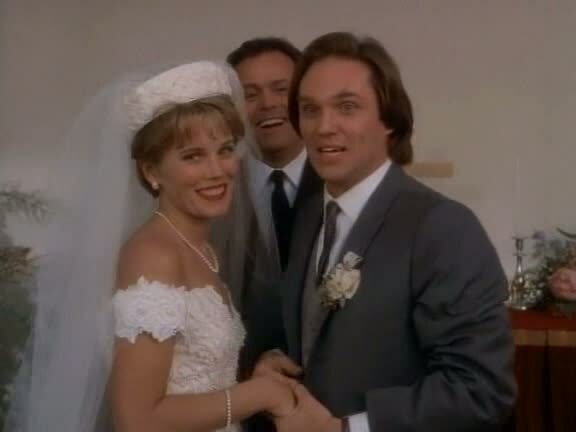 Kate McNeil plays Janet Gilchrist and in A Walton Thanksgiving, she and John-Boy Walton (played by Richard Thomas) had decided to get married. 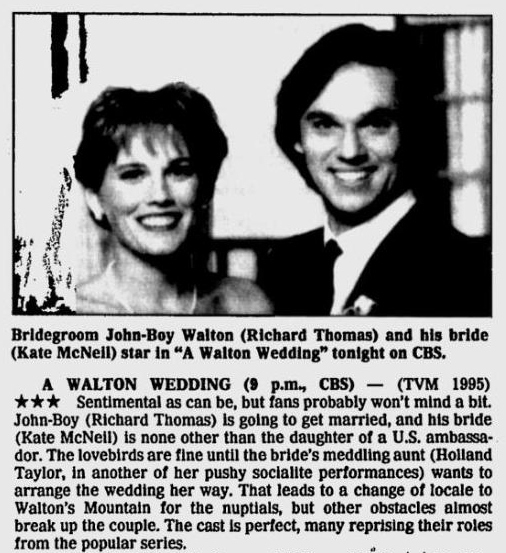 Set in 1964, A Walton Wedding is about their wedding and the trials and tribulations of actually getting to the altar. 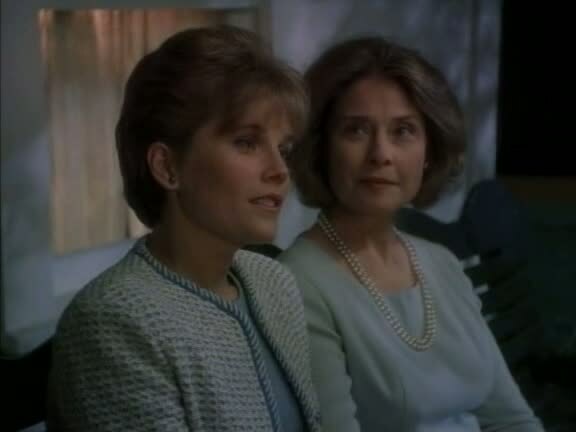 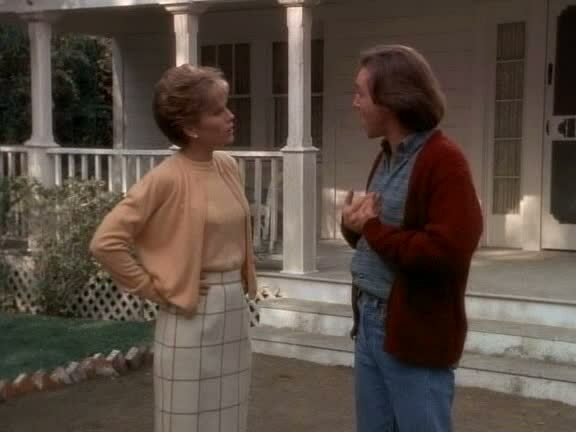 Janet, a fashion magazine editor and daughter and only child of a US ambassador to small African country, has an aunt named Flo (played by Holland Taylor). 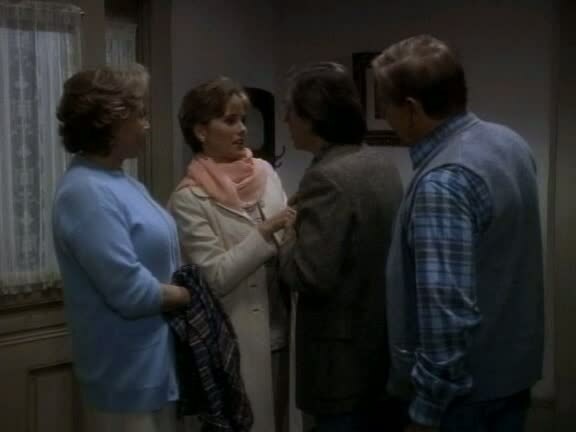 Aunt Flo, who has no children of her own, decides to plan the Walton wedding when Janet's parents announce that they will not be able to attend the wedding. 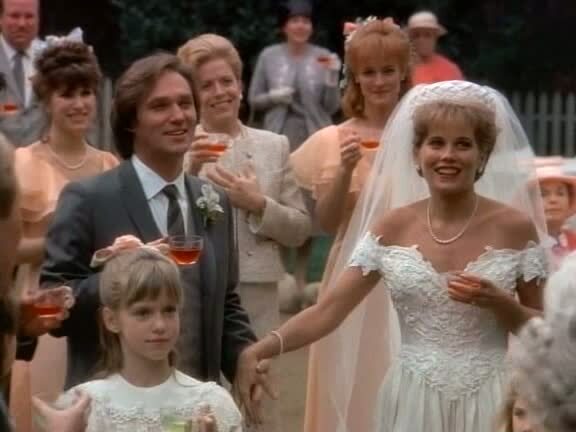 When Aunt Flo goes overboard with the planning, John-Boy and Janet decide to move the wedding from New York City to Waltons' mountain in rural Virginia. 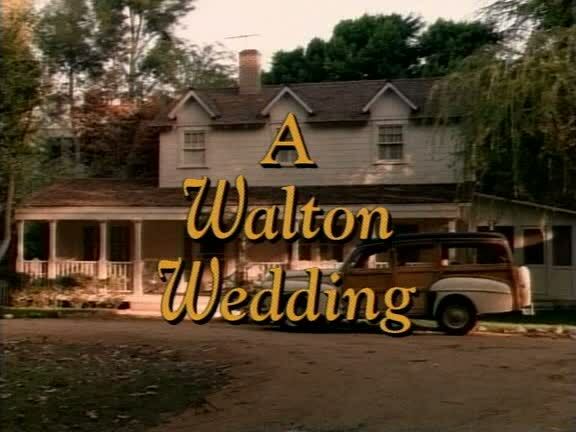 While on Waltons' mountain, both Janet and John-Boy have some second thoughts about getting married, but they eventually put aside their doubts and have a lovely wedding ceremony.